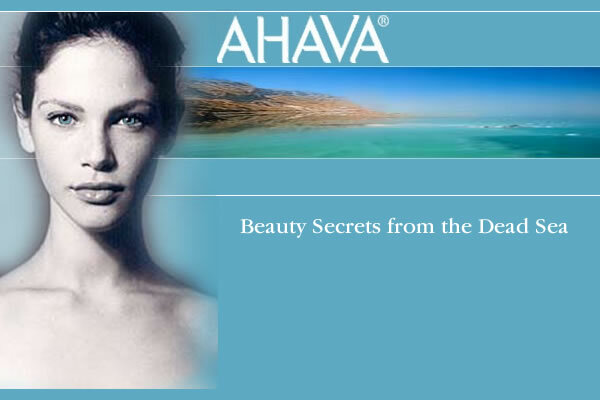 AHAVA Dead Sea Skincare is the only cosmetics enterprise indigenous to the Dead Sea region. They only use the finest healthy harvest of crystallized minerals, Dead Sea mineral mud and desert plants, which grow in the pure air of this magical region. They carry the highest quality dead sea skincare products including skincare, hair and body care. The miracle rejuvenating magic of the Dead Sea has been known for thousands of years since the days of King Solamon and Queen Cleopatra. It even says in the bible that the dead sea has healing powers. Dead Sea minerals are natural, pure, non-chemical, and non-pharmaceutical. Located in Israel's desert at the lowest point on Earth, the Dead Sea is a unique inland sea, filled with the world's highest concentration of minerals and salts. It contains higher levels of magnesium, sodium, potassium, bromides, sulphates and other minerals than any other body of salt water in the world. These natural minerals all have proven benefits on the skin and body. Dead sea minerals help control skin disorders by strengthening the skin and removing all of the toxins in the body by flushing them out. Periodically cleaning your skin with products made from the Dead Sea will prevent minor skin disorders from occurring, leaving your skin with a natural glow. In performing essential functions, skin cells ‘communicate’ with one another. Minerals are crucial in facilitating this ‘data exchange’ and help to transmit cell-to-cell signals, which stimulate the cells to regenerate and nourish the top layer of the skin with a heightened water capacity. As you age, the Natural Moisturizing Factors (NMF) in your body are depleted, lessening the skin’s ability to retain moisture and battle the harmful effects it is exposed to on a daily basis. Click here to learn more about AHAVA Dead Sea Skincare's wonderful line of products!